Kathleen Woods, Real Estate Broker at msWoods Real Estate has extensive experience identifying, evaluating, and selling extraordinary residential properties at the most desired addresses in Central Indiana. When serving owners with the sale of a property, she brings a detailed knowledge of the market, a global network of potential buyers, and a nuanced negotiating style. She has an outstanding track record in delivering results for clients who require the highest levels of discretion, service, and personal attention. Her clients appreciate her honesty, organization, and straightforward manner. One of her greatest assets, is her unique vision which enables her to think outside the box, she succeeds in completing the challenge of finding that special home. Whether it's envisioning a combination, not previously considered by a buyer, or a comprehensive marketing plan for one of her sellers, Kathleen's vision is 'ahead of the curve'. 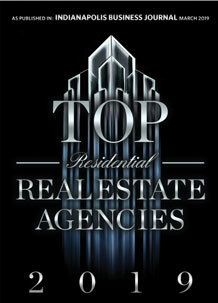 msWoods Real Estate, is proud to be listed as "2013 largest Indianapolis-Area residential real estate firm" in 2013, by the Indianapolis Business Journal (IBJ), ranking #1 in Google. Kathleen, is a member of the Indianapolis Association of Realtor®s (IAR) and the National Association of Realtor®s (NAR). She is a 2008 graduate of the Women's Executive Leadership Program (WELP) founded by her step mom, Marianne Glick. She graduated from Carmel High School and Indiana Wesleyan (IWU) with a degree in business management and executive MBA. In addition, she has served as a volunteer and donor in the Hamilton County School System, Fishers Tigers Swim Club, Holt International, Joyce Meyer Ministries, Indiana Ballet Company, Conner Prairie, Dress for Success, and local benevolence programs. "I have worked with Kathy over the last 15yrs to buy and sell a few houses for my family in Fishers, Carmel, and Westfield. She quickly became my go-to realtor when we first met. I sensed she was honest, trustworthy, and caring. She has always looked after my family's best interest by finding the right price point for the house we were selling and identifying important factors for our future home. "She is good in negotiation and estimates what's the house value and truly dedicated to each customer. She understand your needs and provides the houses where you can afford. Excellent communicating and work through documents and suggestion for mortgage. "My husband and I were so very impressed with Kathleen. She got back with us immediately after we sent an email to her agency and arranged showings the next morning. She was so honest and real that we immediately connected. Although we have not bought yet in that area (we live out of town), we will commit to Kathleen for any real estate needs we may have in the Indy area and would recommend her to anyone!! "Kathleen was great to work with! She's very attentive, personable, knowledgeable and she kept us up to date on all of the latest listings. She really listened to what our interests were and paid attention to the details. We ended up finding our absolute dream home in less than a month! To top it off, her negotiation skills got us an incredible deal. We were very pleased and highly recommend her services! "I've used Kathy on four deals (two selling and two buying). Regardless of which side of the fence she's on, she's taken great care of us. Her negotiating skills are masterful, to say the least. I've recommended Kathy to friends and family and so far, no one has been disappointed. I highly recommend Kathy! "I have used Kathy on more than one occasion to buy and sell houses. If I see a house for sale and it catches my eye, I call Kathy. If I hear a friend is moving, I refer Kathy. Kathy has been in real estate for many years and knows all the tricks to the trade. She is trustworthy and will treat the sale or purchase of your home as if it were her own. "Absolutely wonderful house hunting/purchase with Kathleen! She targeted homes in my preferred areas, my price range, and with the amenities I required. She had the local knowledge and expertise required to make the process seamless. Her responsiveness and negotiation skills allowed me to purchase the home of my dreams. "Kathy helped me sell my condo on the West side of Indianapolis. She knew the area well enough to price my condo right, and as a result it sold much faster than several other condos posted in the same division. She helped me to understand that you have to price your home at what the market will pay, not at what you think your home is worth. She went on to help me find a very nice home in Broad Ripple, which I ended up buying for a fair price. Thanks, Kathy! "Kathleen helped us find and purchase our first house. She was patient with us as we toured a variety of houses in many areas throughout the Indy metro. She was knowledgeable, professional, and extremely easy to reach, and extremely quick to respond to email, text and phone calls. She really was great to have once we were ready to put in an offer, and her negotiation helped us get the house we wanted on our terms. Going with Kathleen means she will share part of her commission with you, which is an amazing incentive! We used ours to help pay our closing costs. I'd recommend Kathleen as a buyer's agent to folks looking for houses in the Indy metro. I first met Kathy when I hired her to help sell my house. It had been on the market for months with little interest. Kathy made immediate recommendations (paint, price, etc.) that resulted in showings and a quick sale. I was so impressed, I hired her to help me buy a few months later. She knew my tastes and helped me get the house I wanted...and now love. I've recommended her to friends and everyone adores her. She's fabulous! I've used Kathy on four deals (two selling and two buying). Regardless of which side of the fence she's on, she's taken great care of us. Her negotiating skills are masterful, to say the least. I've recommended Kathy to friends and family and so far, no one has been disappointed. I highly recommend Kathy! � Candy Irvin, VP Portal Operations at NIC Inc.
Kathleen worked with me to identify potential properties in Indianapolis. She is a diligent, hard-working professional whose attention to detail and level of responsiveness is unlike that of any real estate professional with whom I've ever worked. I've recommended her to others and will use her again in the future. � Tim Landgrave, Architect Consulting Division at Microsoft.